Katylou’s Forest School is suitable for children from 2 ½ to 12 years, in our sessions we play games, bug hunt, climb trees, make crafts, build dens, use tools, swing on ropes, cook on the camp fire, sing songs, tell stories, relax in the hammocks, read books and enjoy free-range play! Learning through play is fundamental to our sessions and we ensure children have the opportunity to explore and play freely in an unstructured woodland environment but equally we provide challenges for them to overcome, resources for them to learn a new skill and activities providing the opportunity to manage their own risks and push their individual boundaries, which in turn builds their confidence, creativity, co-ordination, core strength, self-esteem and body awareness. 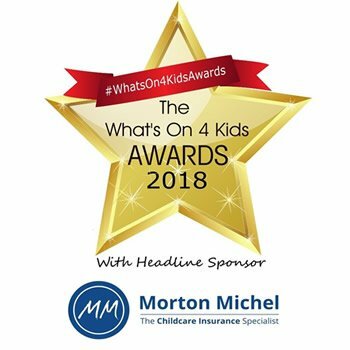 Sessions are relaxed and the activities we provide are available for any child who chooses to take part. Some children will choose to run, climb and explore and this is encouraged, whether that means they choose to be immersed in the activities, or immersed in their thoughts, it is their choice and this is imperative because children learn best when they are guided by their own interests and at their own pace. Twins, Triplets or even more pay for just ONE place. Katylou’s Forest school is the newest addition to the Katylou’s Brand, founded by Katy Duckett. Inspired by her love of outdoors, knowledge gained as a Level Three Forest Schools Practitioner, a Sports Science graduate, a sports leader and mother of three boys who spend family time exploring and playing outdoors! 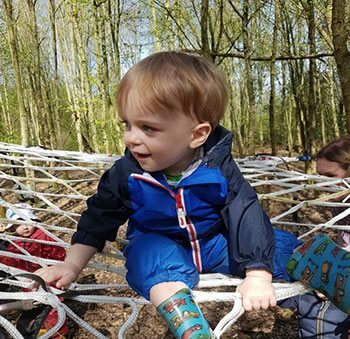 Our Forest School focused with well researched curriculum developed with qualified Early Years and Primary teachers, providing safe, challenging and fun outdoor based activities which follow the Forest Schools guidelines for planning. Activities are risk assessed although allow learners to explore risks as safely as reasonably practicable, allowing them to grow in confidence and as individuals. Sessions for children aged 11-15 years focus more on Bushcraft and survival, developing skills such as natural firelighting, shelter building, animal traps, water purification, orienteering or geocaching, animal traps and foraging. Again, activities are risk assessed but provide manageable risks to provide suitable challenges. Both Forest School and Bushcaft sessions embrace the whole learning experience and promote the ethos respect yourself, your peers and your environment. Outdoor learning is not just for children and can be enjoyed by all ages, whether you just love the outdoors or enjoy learning new skills. Our sessions for adults and older children focus on Bushcraft and Survival Skills such as shelter building, water purification, foraging for food, fire lighting, animal trapping, weapon making and much more! With sessions available for private parties, hen or stag nights, family camps, corporate events, raft building challenges, team building/bonding and wild woman days. For more information please see our Bushcraft & Survival, Corporate Days and Wild Woman Days pages.